Mix the brown sugar, basil, garlic powder, salt, and pepper in small bowl. In a large bowl, drizzle the oil over the vegetables and toss to coat well. Add the seasoning mixture and toss to coat well. 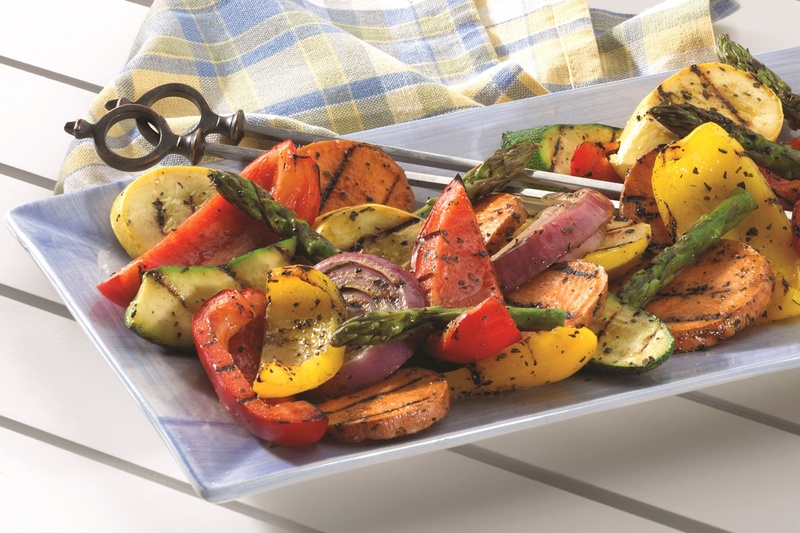 Place the vegetables in a grill basket or rack, or thread onto skewers. Grill over medium heat 10–12 minutes, turning occasionally, or until the vegetables are tender. Kitchen tip: If using sweet potatoes, pierce them with fork and microwave two to three minutes on high or until tender before grilling.